In the ever-changing world of sports, there are only a few athletes that are privileged enough to become staples the way Kobe Bryant did in the NBA. For 19 years, Derek Jeter was the face of the New York Yankees and the MLB. Tom Brady and Peyton Manning, two future first-ballot Hall of Fame NFL quarterbacks, are continuing to dominate their positions 10+ years into the careers. These names, along with legends that came before them, achieved a level of greatness that made fans think they would be around forever. Unfortunately, there comes a time when the world has to say goodbye to these titans and, for Los Angeles Lakers all-time great guard, the day is officially almost here. When Bryant announced his pending retirement on November 29, he did so in a poem that had the sound of man who sounded victorious rather than defeated. His injury troubles, which began in the 2012-13 season when Bryant tore his achilles towards the end of the season, may have pushed up the date of his farewell tour but he seemed comfortable with his decision. 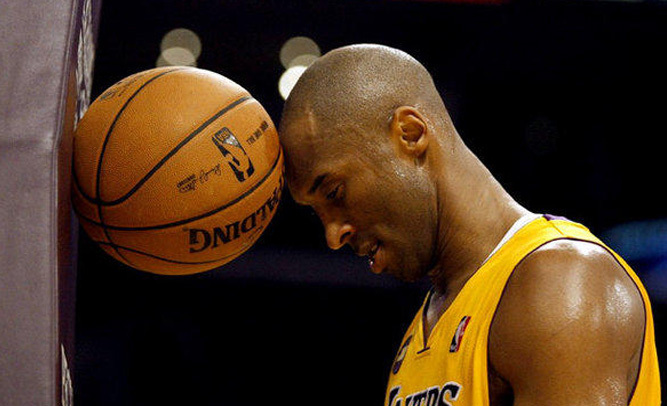 At the time of his 2013 injury, the then 34-year-old Bryant was averaging his most minutes (38.6) in six years and had averages of 27.3 points, 5.6 rebounds and 6 assists through 78 games. Now, at age 37 and two more major injuries under his belt, Bryant decided to end the speculation that had been brewing for years and was starting to overshadow his legacy. To say that Bryant accomplished a lot would be an understatement. Bryant became the first guard drafted out of high school after being selected 13th overall in the 1996 NBA Draft by the Charlotte Hornets. The Hornets, who unintentionally made one of the most important trades in NBA history, agreed to trade their pick the night before the draft and were told by the Lakers to draft the 17-year-old Philadelphia native from Lower Merion High School. From the moment he made his debut on November 3, 1996, Bryant showed promise and captivated an entire generation of future athletes. Superstars Kevin Durant of the Oklahoma City Thunder, who was eight when Bryant debuted, and LeBron James of the Cleveland Cavaliers, who was 11, recently shared their thoughts on the transcendent guard. Durant and James, who both teamed with Bryant to win the gold medal in the 2012 Summer Olympics, are way above ordinary but Bryant reached an extraordinary level that will take some time to eclipse. The 17-time All-Star won the 1997 Slam Dunk Contest, five NBA championships, two NBA Finals MVP awards, an NBA MVP trophy and became the Lakers’ all-time leading scorer in 2010. Barring a miraculous turn around from the currently 3-15 Lakers, the guard’s last NBA game will be on April 13 at Staples Center against the Utah Jazz. For a player that has been a part of a winning culture for 14 of his 17 NBA seasons, being at the bottom of the league is unfamiliar territory. Bryant has gone from teaming with greats like Shaquille O’Neal and Pau Gasol to up-and-comers like Julius Randle and D’Angelo Russell and has been thrusted into the “veteran mentor” role we never thought we would see. When Bryant visits his former rivals for the last time in the coming months, it’s almost guaranteed that the fans once booing him will show him some well-deserved love. Kobe Bryant will always be remembered as a true warrior with a complicated life path that achieved greatness under the bright lights of Hollywood. In the years to come, it will be hard to argue that Bryant was to the 2000’s what Magic Johnson and Michael Jordan was to the 80’s and 90’s, respectively. And, as his storied career comes to an end, it will end the way it began: center court with the world watching.